This Jeep Wrangler Unlimited delivers a Regular Unleaded V-6 3.6 L/220 engine powering this Automatic transmission. WHEELS: 18" POLISHED FACE/SATIN CARBON (STD), TRANSMISSION: 5-SPEED AUTOMATIC (W5A580) -inc: Hill Descent Control, Tip Start, SIRIUSXM SATELLITE RADIO -inc: 1-Year SIRIUS Radio Service, For More Info, Call 888-539-7474. QUICK ORDER PACKAGE 24G -inc: Engine: 3.6L V6 VVT, Transmission: 5-Speed Automatic (W5A580) , REMOTE START SYSTEM, RADIO: UCONNECT 430N CD/DVD/MP3/HDD/NAV -inc: 6.5" Touch Screen Display, GPS Navigation, 28GB Hard Drive, HEATED FRONT SEATS, ENGINE: 3.6L V6 VVT (STD), CONNECTIVITY GROUP -inc: Hands-Free Communication, Vehicle Information Centre, Remote USB Port, Tire Pressure Monitoring Display, BODY-COLOUR JEEP FREEDOM TOP HARDTOP -inc: If ordering without AEM (Dual Top Group), the black soft top will not be included, Rear Window Defroster, Freedom Panel Storage Bag, Rear Window Wiper/Washer, BLACK, LEATHER-FACED BUCKET SEATS -inc: Heated Front Seats, Front Seat Back Map Pockets, Driver Height Adjuster Seat, BLACK, AIR CONDITIONING W/AUTO TEMP CONTROL -inc: Air Filtering. 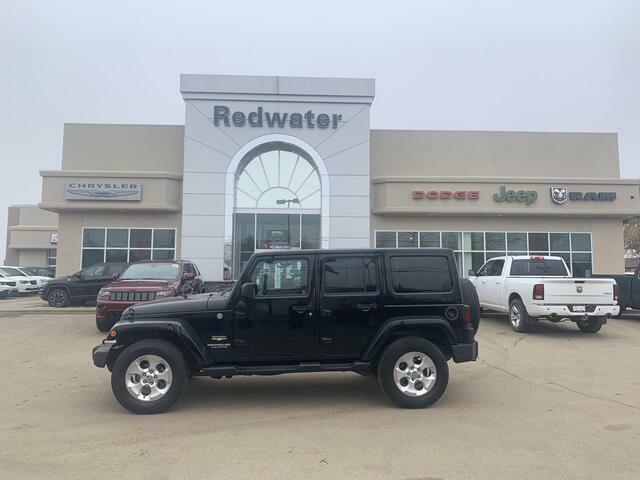 Come in for a quick visit at Redwater Dodge, 4716 48th Ave PO Box 407, Redwater, AB T0A 2W0 to claim your Jeep Wrangler Unlimited!